Austin, TX -- Austin City Limits (ACL) travels to Nashville for the second consecutive year to capture highlights from performances at the 2012 Americana Music Association Honors and Awards. ACL Presents: Americana Music Festival 2012 delivers an incredible line-up of artists that celebrates the best of Americana music today. Recorded live September 12th at The Americana Music Association's 11th Annual Americana Honors and Awards ceremony at the historic Ryman Auditorium in Nashville, the program showcases the genres' established and rising stars. 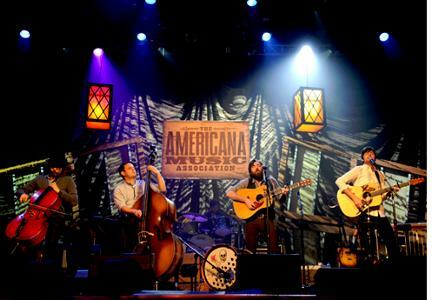 Currently the fastest growing and one of the best selling genres, Americana music honors the roots of American music and has been hailed by The New York Times as “the coolest music scene today." Nashville, Tennessee - December 6, 2011 - "ACL Presents: Americana Music Festival" hit the right chord with PBS viewers reaching over two million households during its November 19-21 airing, making it the third highest-rated episode this year. In addition, the hour-long special resulted in an impressive 9% Soundscan sales increase for the artists who were featured in the show. Hosted by Jim Lauderdale, with an all-star house band led by Americana favorite Buddy Miller, the show runs the gamut of Americana music. 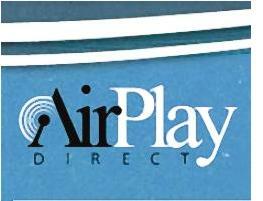 "There are still opportunities to catch this festival overview on PBS, " encourages Robert Weingartz, Chairman and CEO of AirPlay Direct. "This program contains collaborations that are a must see and it serves as another reminder that this music is impacting all generations around the globe. Our search for the next Americana star is about to close and we hope to see our winner on this program next year." Nashville, TN-November 8, 2011-Robert Plant, Emmylou Harris, Gregg Allman, Alison Krauss, The Avett Brothers and The Civil Wars are just a few of the artists appearing on "ACL Presents: Americana Music Festival," sponsored by Nissan and airing starting November 19th on PBS stations nationwide (check local listings). Called "the best awards show in the world" by Paste Magazine, the hour long special was filmed live at the Ryman Auditorium on October 13, 2011 during the sold-out Americana Music Association's Honors and Awards and features special performances from the genres' established and rising stars. Austin, TX -- MilkDrive, Austin's alt-folk-progressive acoustic string band, released its debut studio album, Road From Home produced by Bil VornDick (Alison Krauss, Bela Fleck), in April. The band has been touring since the release, and will perform at upcoming festivals RockyGrass and Austin City Limits Music Festival. MilkDrive recently performed on "Woodsongs Old-Time Radio Hour" http://www.woodsongs.com/showlist.asp and recorded a music video for the song, SoHo.